After more than 41 years in the broadcast industry, Cox Media Group/San Antonio VP/Market Manager Ben Reed has announced his retirement, effective December 31. Prior to his station being acquired by Cox in 1997, Reed worked for NewCity Communications as the General Sales Manager and Katz Broadcasting as an account executive. After joining Cox as GSM in San Antonio, he added oversight of CMG's Atlanta Radio and newspapers in Austin. Today, Reed oversees content and sales for CMG's stations in San Antonio. "When looking back on the last four decades and the opportunities I've been afforded in my career, all I can say is I'm blessed -- it's that simple," said Reed. "The success we've achieved as an organization and the expectations we've exceeded year after year in the San Antonio market is truly remarkable. The camaraderie I share with my team and colleagues at CMG will live in my heart forever." "Ben Reed's career story is about the success he has had making a positive impact on the people he leads," added Executive VP Bill Hendrich. "In multiple roles for both NewCity and CMG, Ben has led his teams to success by helping them develop and grow to their full potential. We will all miss Ben's positive attitude, friendly advice and great sense of humor." 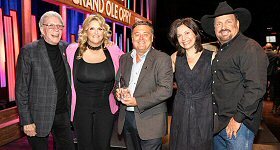 "It takes a great deal of passion, dedication and grit to be successful in the radio industry and Ben possesses these qualities and so much more," added CMG President Kim Guthrie. "I've had the pleasure of working with him throughout my career at Cox and know firsthand that he is a true broadcaster and respected leader whose positive impact can be seen across many markets in our business. 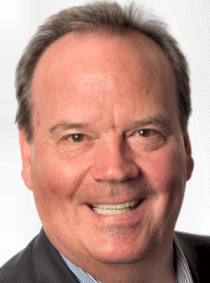 He is a valued colleague and friend who will be greatly missed by all of us at CMG."